Thursday's Blue Diamond previews at Caulfield are set to give punters a valuable insight. However, even before the meeting commences, it appears fillies have the upper hand leading into the $1 million group 1 final in February. 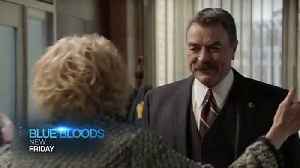 Blue Bloods 9x19 Promo trailer Common Enemies Season 9 Episode 19 DANNY TEAMS UP WITH HIS ARCH NEMESIS, LUIS DELGADO, TO TAKE DOWN A VICIOUS MURDERER, ON “BLUE BLOODS,” FRIDAY, APRIL 12 Lou..